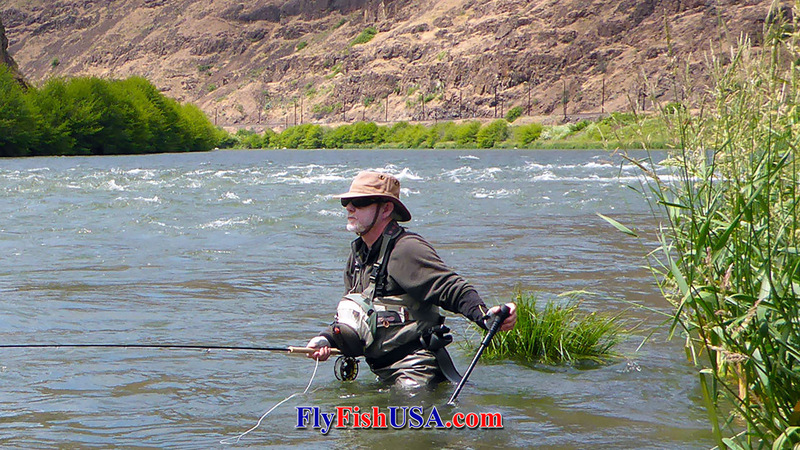 A staff is essential for wading some rivers. 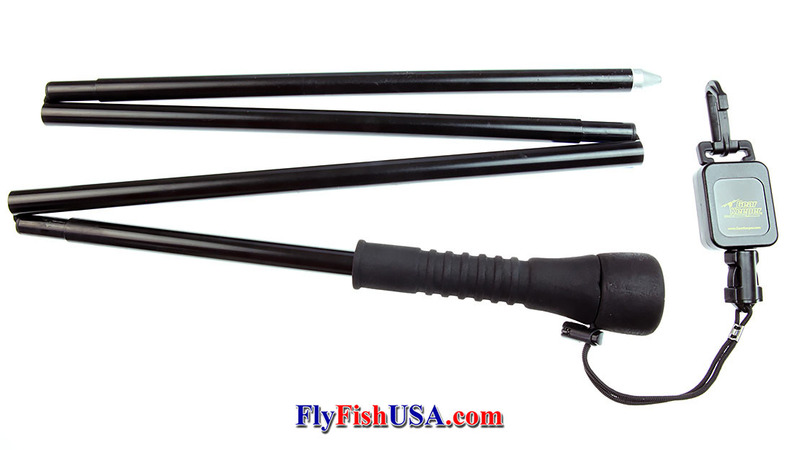 Using this folding aluminum wading staff is easy. Each one comes with a neoprene sheath that attaches to your wading belt. We recommend purchasing a heavy duty retractor to attach the staff to the sheath. The staff can be carried in the sheath, and pulled from it when needed. When the staff is pulled from the sheath, it automatically assembles itself because of the tension provided by a heavy duty shock cord within the staff. The Custom Wading Staff features The Fly Fishing Shop logo on the end of the padded foam handle. This staff sinks tip-first so it avoids line coils on the water. The large foam handle floats above the surface for easy access to your hand. When a Gear Keeper Wading Staff Tether is added between your belt sheath and your staff, the handle of the staff remains close to your side for instant access. The handle remains in the perfect position to stay under control and out of the way. Unlike the tapered ferrules that are standard in some designs, the straight ferrules used in the Custom Staff are easily pulled apart for folding the staff and reinserting it into the sheath. No more banging your staff on rocks or boats to get it apart. This may be the best staff available, and at the best price out there. Strong and rigid for average size people. 54" when assembled. 15" when folded. 16" long when in the sheath. Wonderful, but you need to purchase gear to attach it to your belt. It does not come with the staff. The rubber handle slid off and I had to epoxy it in place. Minor. Wading staff is top notch! I’ve used it twice since it came in. It’s lightweight but sturdy, and functions perfectly! Seems to be about 1/2 the cost of comparable units. A winner that I’d highly recommend to anyone! !